The $450-million investment promised by Pak Suzuki Motor Company remains a distant dream for Pakistani government as the Japanese automaker has once again linked its investment with tax benefits that are available to only new entrants under the Automotive Development Policy (ADP) 2016-2021. To get the $450 million investment, the government will need to revise the ADP 2016-2021 policy which distinctly bans the granting of extending Greenfield investment status to existing automobile manufacturers like Suzuki, Indus Motors and Honda. However, if the government still wants to secure the $450-million investment offer, it will be seen as a favour to the Suzuki Motors. Under the ADP 2016-2021, Suzuki’s investment would fall in the Brownfield category, however, it wants to avail tax benefits of the Greenfield project, said officials in the Ministry of Industry and Production (MoIP). (vi) Establishment of Pakistan Automotive Institute. The previous PML-N administration had stood its ground two years ago resolute two years before and rejected to extend these tax benefits to existing Japanese assemblers, which maintain a market stranglehold and dominance in the auto industry of Pakistan. The ex-government wanted to break the monopoly of these automakers by bringing in at least one European and other Asian brands. On Tuesday, Pak Suzuki senior executives met with Prime Minister Imran Khan and promised to invest $450 million to expand its projects in Pakistan. 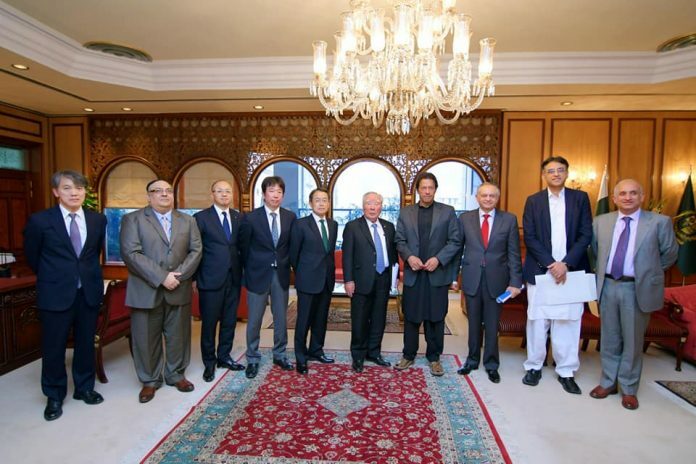 After the meeting, Finance Minister Asad Umar had said that it was an “excellent day from a foreign investment perspective, as Global Chairman Suzuki Motors visited and expressed interest in investing $450 million to expand car production in Pakistan”. Ministry of Industries Secretary Azhar Chaudhary said any revisions in the ADP 2016-2021 will be made in consultation with all stakeholders including the new entrants and will not be a party specific decision. Nonetheless, stakeholders believe that there is a room of small amendments in the auto policy 2016-2021 but there should not be any major shift in the policy as it would discourage the entrance of new automakers in the country. With launching new Suzuki models and setting up new assembly plants, it is expected that Suzuki Motors would most likely bring the investment in the country, however, the final decision will still have to be made by the company. has planned to introduce four new models. Recently Celerio 1000 cc car has been launched under”Cultus” brand name. Suzuki Alto 660 cc is expected to replace Mehran 800cc in April 2019. M/s Suzukiis also planning to construct the second plant to manufacture additional 100,000 vehicles per year.